The Popish Bis offers a more casual contrast, making it a go-to piece to wear and to combine on any occasion. A red dash has been added to the sleeves’ hems to emphasize its more insouciant personality. 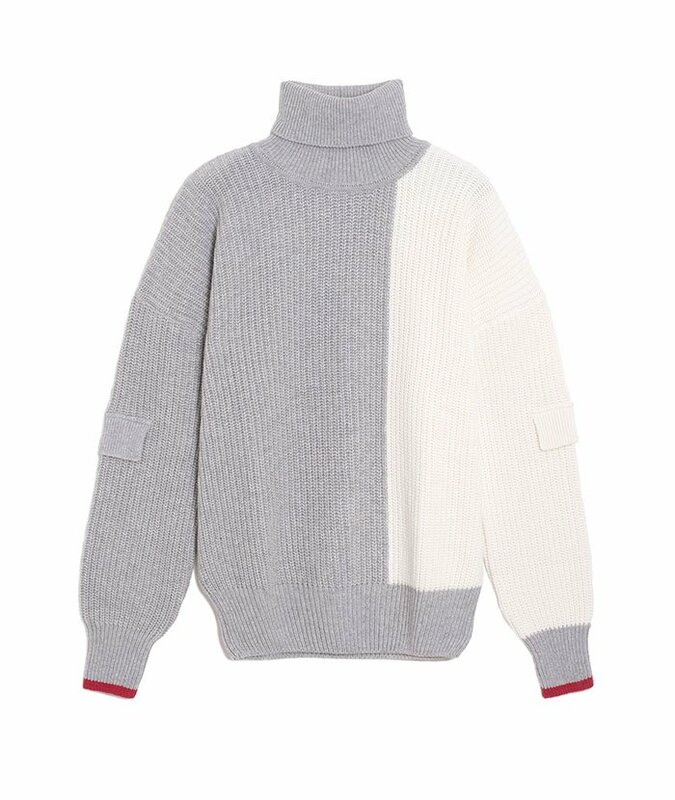 Cut for an oversized fit, this turtleneck is finely knitted from a mix of cashmere and virgin wool. All our garments are entirely designed in Belgium and manufactured in Portugal in a small family-owned atelier renowned for its knitting craftsmanship. Our threads are carefully selected in Italy. We recommend not to hang them.